Bush are a British rock band formed in London, England in 1992. 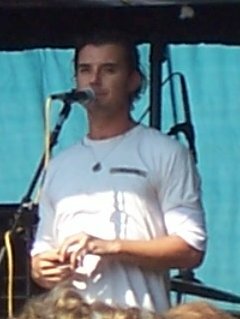 Their current lineup includes lead vocalist and rhythm guitarist Gavin Rossdale, lead guitarist Chris Traynor, bassist Corey Britz, and drummer Robin Goodridge. In 1994, Bush found immediate success with the release of their debut album, Sixteen Stone, which is certified 6× multi-platinum by the RIAA. They went on to become one of the most commercially successful rock bands of the 1990s, selling over 10 million records in the United States. Despite their success in the United States, the band were less well known in their home country and enjoyed only marginal success there. Bush have had numerous top ten singles on the Billboard rock charts and one No. 1 album with Razorblade Suitcase in 1996. The band broke up in 2002 but reformed in 2010, and have released three albums since then: The Sea of Memories (2011), Man on the Run (2014), and Black and White Rainbows (2017).